Village Tavern is our hands down favorite restaurant from the Bistro Group. Corporate Chef Josh Boutwood has room to flex his culinary prowess with more experimental dishes. 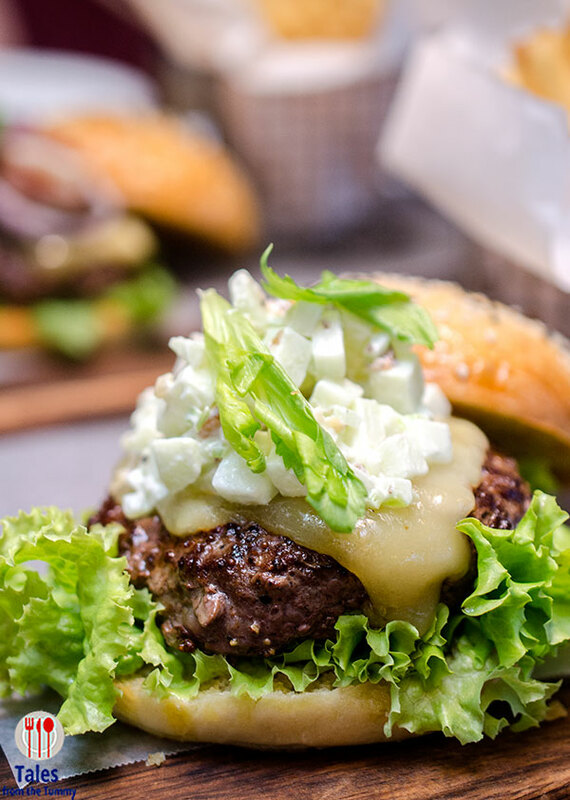 He recently came up with a quartet of burger creations that are inspired by different countries of the world. I had a hard time narrowing down my choice from the list so I decided to order 2. Each burger has a flame grilled wagyu patty and a sesame seed bun. 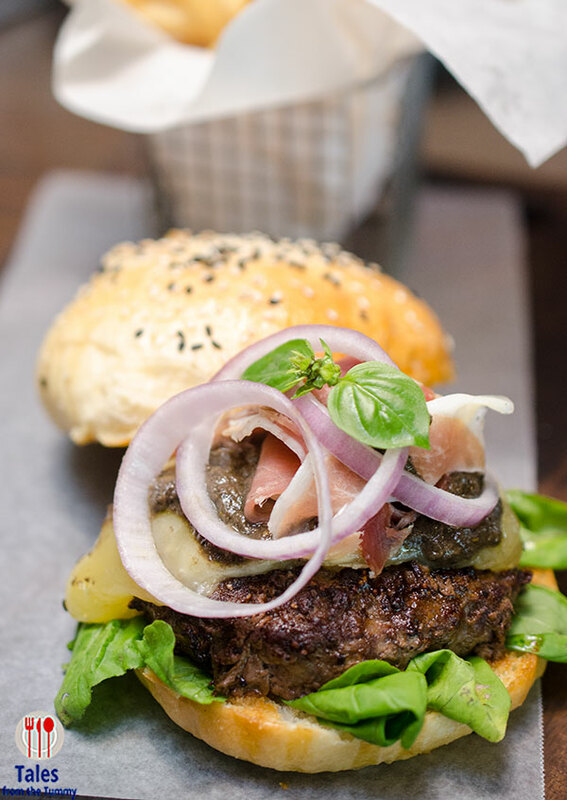 The first one is the Waldorf Wagyu Burger (P625). 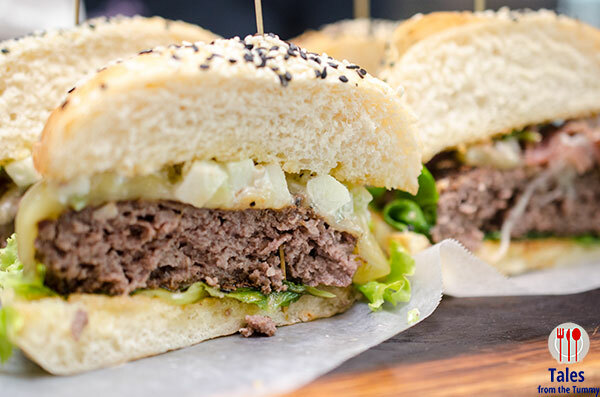 This burger is topped with fresh apple and celery cubes, St Nectaire cheese and walnuts. Looks so pretty, like have salad and meat all at the same time in one go. My other choice was the Monte Carlo (P695). This one is topped with St. Nectaire cheese, olive tapenade and proscuitto ham. The burgers were hefty and well seasoned, I just wished it was cooked rarer. I specified medium, but this looks more like medium well. Of the two the Monte Carlo is more aggressive in flavor from the olive tapenade and proscuitto ham but this was a nice complement to the wagyu patty. The Waldorf was my favorite because the apples and celery toppings gave it a fresher flavor and overall less cloying. Irene non meat options are aplenty at Village Tavern but she was surprised with a new one, the Chorizo Bolognese (P450). 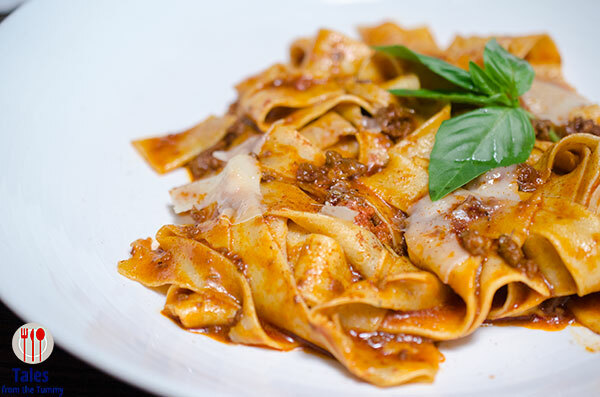 Usually uses beef but this version uses pancetta and chorizo to go with the tomato sauce instead. Another reason why it’s easy to dine at Village Tavern is because it’s Lauren approved. 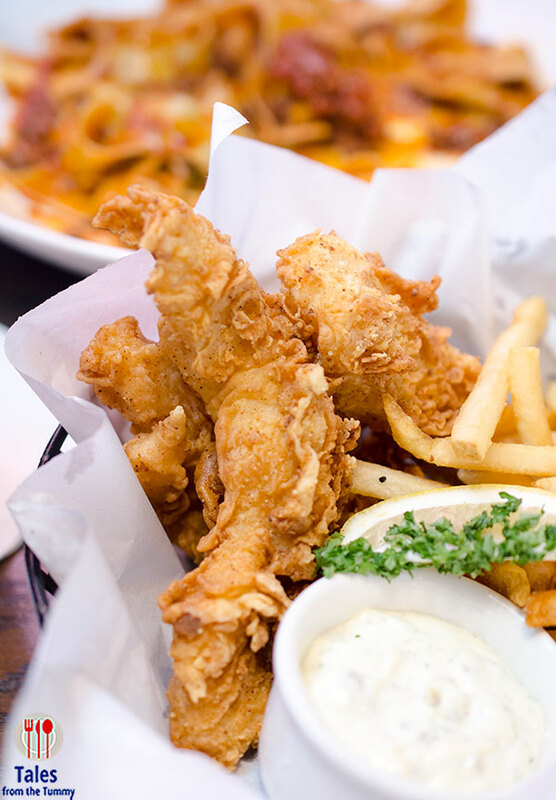 She loves the Fish and Chips (P495) and is the only thing she orders there. She ate way too much that she declined ice cream at Baskin Robbins afterwards, a rarity for Lauren.